Howard Adamsky has been recruiting since 1985 and is an industry expert on making great hires. As a consultant, writer, and public speaker he works with organizations to support their efforts in building strong companies. Howard Adamsky is also the author of Employment Rage: What you've lost and how to get it back and Hiring and Retaining Top IT Professionals: The Guide for Savvy Hiring Managers and Job Hunters Alike/The Guide for Savvy Hiring Managers and Job Hunters Alike published by Osborne/McGraw-Hill as part of the Computerworld Books for IT Leaders Series. Adamsky is a politically incorrect, atypical thinker who solves problems and gets results. His work has made an enormous difference with his clients as he supercharges the talent acquisition process and hires smart, motivated employees. He is a regular contributor to ERE Media, a Certified Internet Recruiter, and a Certified Diversity Recruiter. 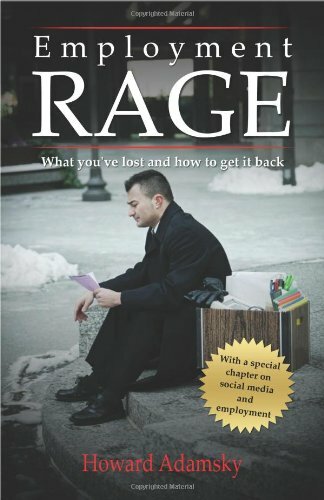 “This book was written for the job seekers and the underemployed in our struggling economy. This is not a self-help book; it’s a manuscript of concepts and ideas; a book of observations and new realities. It is a book that addresses what has happened to you personally and professionally, then offers tools and better ideas that will give you insight to create real change. Anyone who’s been affected by the economic meltdown and struggles with unemployment or underemployment; anyone who’s tired of self-help books and needs new tools and better ideas that will offer insight and create real change; anyone who wants the value that comes from an industry expert who reads your resume first and understands what truly works for today’s job seeker.